A 77-year-old woman circles the world in a 78-year-old Hudson. A turbocharged transaxle still retains the unmistakable DNA of Porsche performance. Mechanically modernized and still seeping with vintage style. Welcome to the best of both worlds. One of those people i truly respect! Great women, great car, great story!!! Please, someone tell me that this is merely the trailer for the feature-length version of this lady’s story. 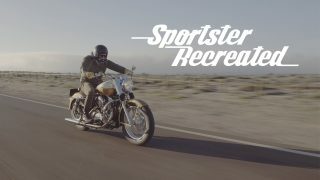 Congratulations on the best video so far on petrolicious! Such a sweet film, empowering and inspiring. The best. Fantastic story. It’s been a while since we’ve seen such a great story here. Well done. An inspiration for all of us with wander lust. Being from Detroit and remembering the Hudson Plant, makes me proud to know that this beautiful and brave woman drove a piece of Detroit history around the world. A great story!!! I am a former Detroiter as well. Apparently the Hudson who founded the car company was the founder of Hudson’s Department Store as well: the one where, almost certainly, as children you and I both rode the escalators at Christmas and saw dazzling displays of mechanical toys. My Grandfather had a late 30’s Hudson, an ‘airstream type’, but until now, I never really knew about these very early, up-right, and formable touring cars. Quite amazing. Fantastic story! I absolutely loved it. How many of us would be brave enough to attempt this? My goodness, what a moving story! She is such an endearing lady, full of wit and gumption. 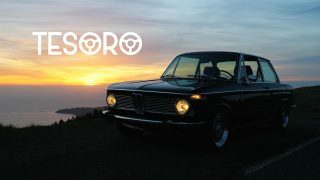 “Petrolicious: come for the cars, stay for the storytellers”. That was simply fabulous. Thank you! Jawohl! I just love this. Wonderful. Danke! Wow, incredible woman, great adventure, great story, thanks for bringing it to us. What a lovely fairytale. Really charming. Told by a märchen prinzessin herself. When I was perhaps 20 years old, I drove a Honda 450 motorcycle from Boston to Seattle traveling almost entirely on 2 lane roads, and sleeping in fields and barns. When I reached Seattle, I had had so much fun that I was ready to cross the country in the other direction, perhaps to Florida. But I had to stay in Seattle and work. I don’t know what to say, but I have to tell someone how amazing her story is. This is the best video so far! I wish her many many more happy miles! 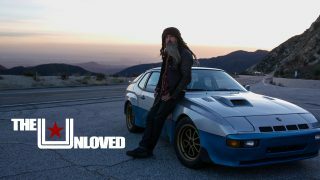 Great story/video really appreciate your effort Petrolicious team, this is real life inspiration. Great job. I met this lady in Field BC at a gas station. I was impressed enough to buy an old 47 Merc flat deck to make a camper out of. Maybe not around the world but a great experience of understanding the life of your elders. I need to add: @ Adam Donovan, try turning on the CC (bottom right of center) and you get the english translation. I love how excited she gets when she says it now even reaches 100! so inspiring and uplifting, well done petro. Just awesome….humbling in the profoundest sense. Wish I understood German, but it’s almost unnecessary..she puts out so much heart. May we all be more like Heidi…..
Inspiring, motivating, humbling, awesome. A terrific film about a captivating woman. As for the car, few are made like that today! While I know nothing of your circumstances, my guess is that you could travel somewhat like this if you wanted to. More than bravery it requires a willingness to sleep in your clothes on a foam mat, and bathing less often than you would like. This aspect of this kind of traveling is not glamorous. As a young man, I used to do this in ancient VWs Beetles, a VW bus, or on a Honda 450 cafe-racer. I found myself so enchanted with the landscapes of the American West and that loss of convenience and comfort didn’t matter. At the age of Heidi, i want to be like her!